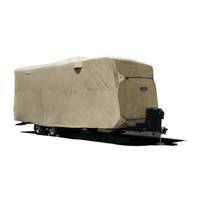 ADCO Travel Trailer covers help protect your RV from sun, dust, dirt and moisture. ADCO offers a lightweight cover that’s easy to put on, in all-climate materials like Tyvek Designer Series and SFS Aquashed. 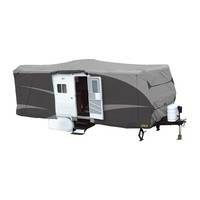 Our most popular item, ADCO travel trailer covers are designed to provide generous coverage for your unit for years to come. Each travel trailer RV cover ships directly to you from our warehouse in Chesnee, SC, usually the same day that you place your order. 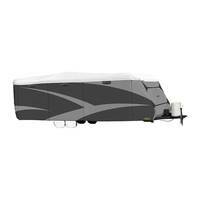 Available in sizes up to 37 feet, our travel trailer covers are warrantied for 2 years.